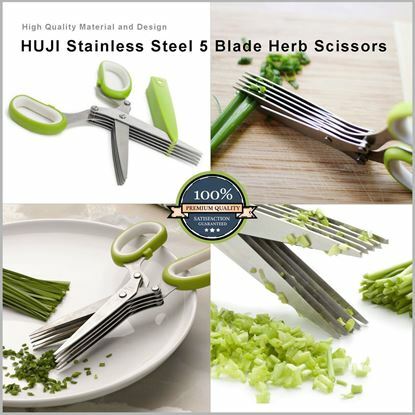 *5 Sharp 4.5 Inch Blades that cuts herbs fast without crushing to preserve freshness. * High-Quality Material and Design comes with a protective cover for storage. *Great for cutting all kinds of fresh herbs; such as basil and parsley. *Perfect comfortable silicon lined handle for easy grip. Dimensions: 8" x 3". 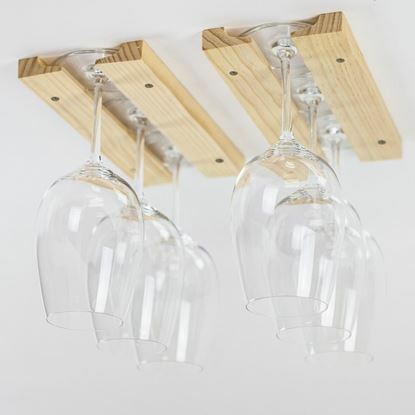 High Quality Adjustable Under Cabinet Natural Finish Wine Glass Rack. 1 Rack Includes Four 11.75 " Wooden Rails. Can Hold up to 6 Wine Glasses. This Rack is the Perfect Addition to your Kitchen and Living Room Decor. Easy Installation and Mounting Screws are Included. Superior quality Sturdy stainless steel secure over the sink dish drainer. Can hold up to 12 dinner dishes and cups. Adjustable and expandable to 21": Can be extended to fit most sinks. Great space saver especially for small kitchens . This rack can also be displayed attractively on your counter-top. 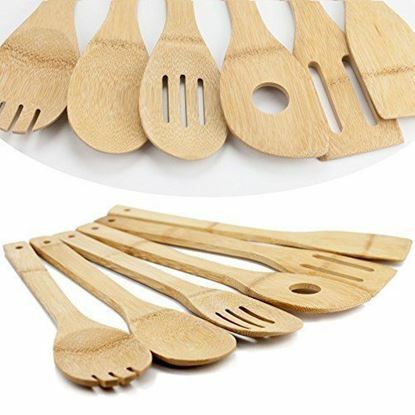 Huji® bamboo kitchen cooking utensils include Spoon, Spatula, Fork, Single Hole Spoon, Slotted Spoon, Slotted Spatula. Made of natural moso bamboo, they are eco-friendly and biodegradable. Chinese, Japanese, Korean people have been using them since ancient time. They are harder than wood while they are pans / pots / dishwasher Safe. they are easy to clean. They prove to be a perfect gift set for your nature-loving Eco-conscious friend. High Quality Stainless Steel Universal Size Pots and Pans Hooks. Start Organizing Your Kitchen like a Professional Chef. 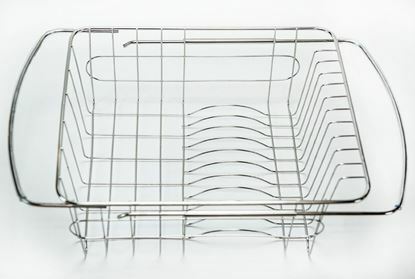 Combines well with all hanging kitchen tools and accessories and compatible with most cookware racks. Package Contains 6 Hooks. High quality stainless steel double mesh design that makes it perfect to get thick froth in seconds. Create your perfectly home made creamy cappuccinos, luscious latte and heavenly hot chocolate. Capacity: 14 oz -400 ml No electricity needed which makes it great for travel. Durable and dishwasher safe. Making cleaning of the Endurance® straight or angled Drink Straws has just become a snap. These 10 ¼ " long brushes are made with flexible stainless steel wire and stiff bristle ends to do the trick The come in a set of 2 and are dishwasher safe to make your clean up even easier. 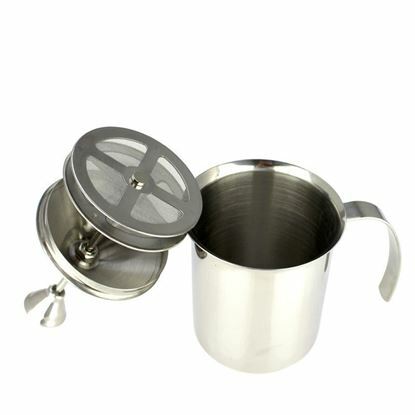 Non-magnetic Tea infuser/ strainer made from Lead Free high quality Stainless Steel. Insulated lid with handle keeps designed for easy grip and provides a base for wet infuser to place to prevent tea stains. 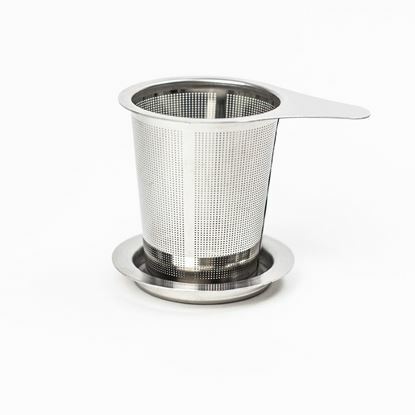 Extra Fine mesh for perfect straining of loose tea grains or leaves. Fits perfectly in most mugs, cups or small tea pots. Dish Washer safe. 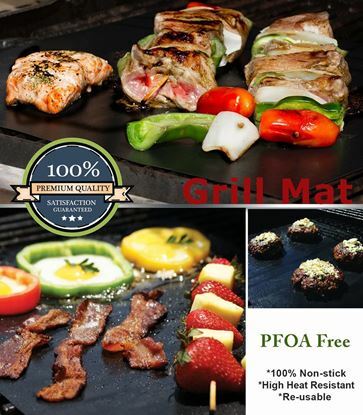 Made of PTFE (PFOA free) Set of 2 BBQ Grill Mats, Each mat measures: 15.75 Non-Stick and Reusable! Food simply glides off the PTFE coated non-stick surface. Mats are reversible and are the same on both sides providing you with four (4) cooking surfaces. High quality stainless steel brushes that are great for delicate cleaning as well as art projects and crafts. High quality Nylon bristles that come in 3 different sizes :3", 4" and 5" brushes. 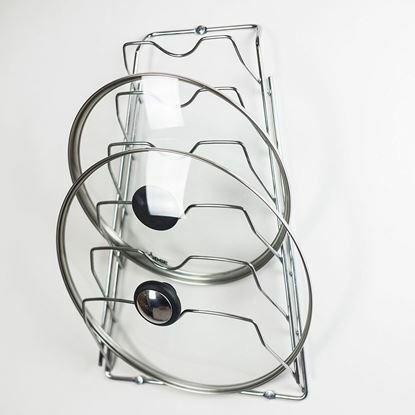 Perfectly designed with hanging loop which makes them easily stored. Hand Wash for cleaning. Set includes 11 cutters with plain edges. Cutters are made of high quality stainless steel and range in size from 3/4" to 3 5/8". Cutters are perfect for cutting pastry, cookies and any dough. Comes in a nicely designed package for easy storage and makes it a perfect gift for any occasion. Their perfect design makes them last long. these Cutters are easy to clean and dishwasher-safe. Superior quality stainless steel grating edges that stay razor sharp. Non-slip handle for comfortable grip. Great Time saver: easily zest fruits, grates cheese , onions, ginger, garlic or chocolate. Perfect snap safety cover that makes it very easy to store. Easily cleaned and dishwasher safe. Durable Sturdy chrome over steel construction . 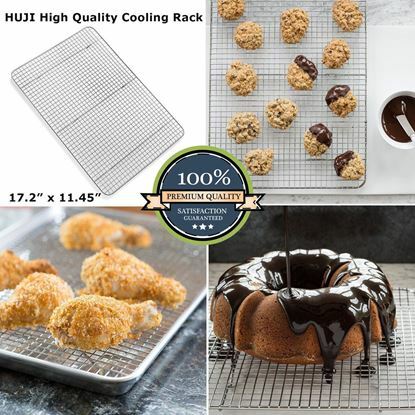 SIZE:17.2"X 11.45"X 0.5 " an fits 1/2 sheet pan. Closely spaced wires to enable Decorating with Ease: Reduce risk of your breakage by decorating treats on rack! Keep Counters Safe: Prevent heat scorching of counter-tops while quick-cooling hot pans Oven safe. 5-position wall organizer for handled tools Fits most handle sizes. Two spacers are included for smaller handle sizes. Just pull out the thin ones and put in the thick spacers. Rolling balls automatically adjust to each handle's thickness and grips it securely Easy release by lifting the handle. Each ball holds up to 7-1/2 pounds of weight Compact sizing and clean design. Easy to install. Supplies needed are: pencil, hammer, ¼" drill bit, drill, level, and Phillips screwdriver. Three mounting screws and wall anchors are included. Forget futzing around with a roller or a serrated knife! 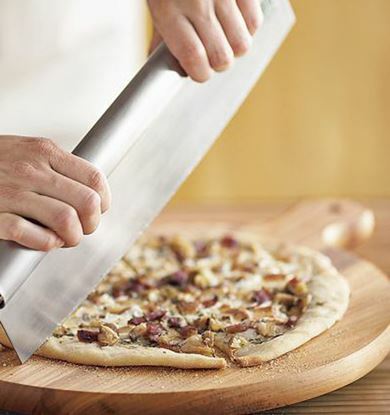 With this bad boy you'll slice across an entire pizza with just a little rocking motion. Make four cuts and you've got your eight slices in seconds. No more cheese gumming up the wheel, no more toppings being pulled off the pizza! You can also use this to chop herbs, dice potatoes, slice fruit, mince onions and more. HUJI Dough Cutter & Bowl Scraper Set is a must have durable baking tool to bake like a pro. High quality stainless steel with non-slip rubber handle for comfortable and easy grip. Comes with convenient rust resistant blade with built in measurements that makes it very handy when baking. Easy to use and to clean : Dishwasher Safe. 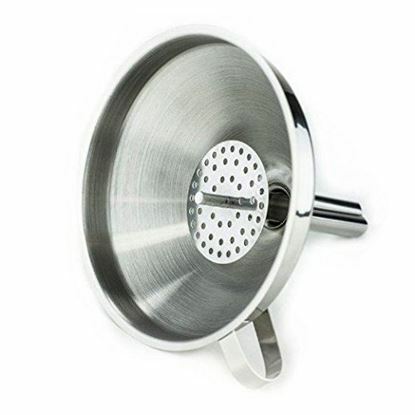 High quality heavy duty stainless steel funnel with detachable strainer. Measures 5 inches in diameter, 4.5 in height. Can be easily inserted to fill bottles and jars without any mess. Detachable strainer is very useful for straining solids. Smartly designed creased steam allows air to escape for easy filling. 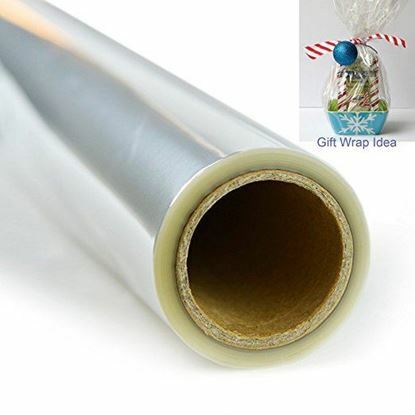 Clear cellophane wrap that can be easily cut to any desired length. Classic wrap ideal for gift baskets, food gifts, and party favors. 40" Width and 100 ft. per roll. Superior Quality Non-magnetic Tea infuser/ strainer made from Lead Free high quality Stainless Steel. Insulated lid / Plate included along with a long handle designed for easy grip and provides a base for wet infuser to be placed to prevent tea stains. Extra Fine mesh for perfect straining of loose tea grains or leaves. Effortless Cleaning : After using it, simply wash it by hand or dishwasher. Fits perfectly in most mugs, cups or small tea pots.